So, for those of you who follow my elsewhere, you will probably know that I started Slimming World five weeks ago. And I’m now half a pound off losing my very first stone. Which is exciting for me, as I’m a third of the way to target. And I know I can reach my target eventually if I keep trying. I’ve been trying to be as creative as I can with the foods that I eat, because that keeps me motivated and stops me from face-planting a Domino’s out of boredom. One of things I have been loving is a really simple recipe I found out about in my group. Which is essentially a Slimming World Syn Free Pancake. 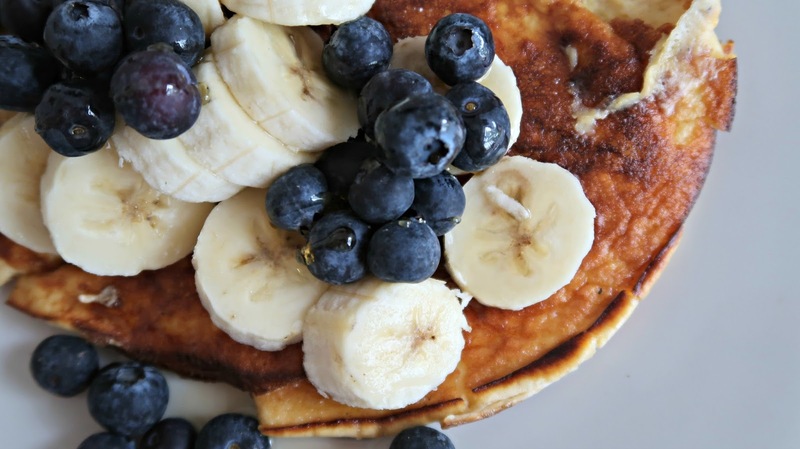 Regular pancakes can rack up some serious syns because of the flour content and the sugar and all the yummy things you pop on top. And I was missing the flexibility of breakfast. For me, cereal and milk is a no-go as it uses my HEX A and HEX B choices up in one meal. And I like me some coffee! And cheese! So I have been trying to find breakfasts that don’t always steal my HEX choices away from me, and are syn free so I can save my syns up for other things (usually for the evenings when the kiddos are in bed). So, enough rambling – how do you make ’em? In really basic terms, you need one tablespoon of sweetener for every egg you use. Just whisk them together. I use two or three eggs most days. And then add some vanilla extract if you fancy it. Then, just heat up a non-stick pan (this is key), add some Fry Light (I find the Sunflower Oil version is best, though the Butter version could work too) and add your eggs and cook as you would an omelette or pancake. Flip halfway through and then you are ready to serve. Now, I have to say that these are just egg and sweetener so you can taste the egg slightly. So I find toppings are key. I like banana and blueberry, with some Muscle Food Maple Flavour Sugar Free Syrup, and that could be more speedy, yes, but I usually have some melon on the side too. You could use some syns on chocolate chips. You could mix an Options White Chocolate sachet with some Quark and have that with strawberries. You could even do bacon and maple syrup and do smaller pancakes rather than a huge one, to make a stack. The choice is yours. 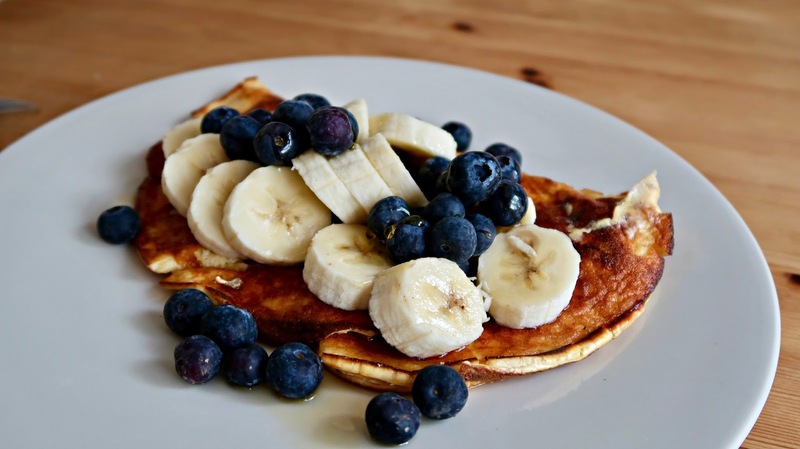 I find it really tasty and filling and what’s more, you could cook the pancake, take it to work with you in tupperware and eat with your toppings then too. No, it’s not a big fluffy American pancake, or a chic crepe, but it’s nice and I like them. The end! Have to say your comment about face planting a dominos did make me laugh despite a stinky cold. p.s Daisy is so lovely!